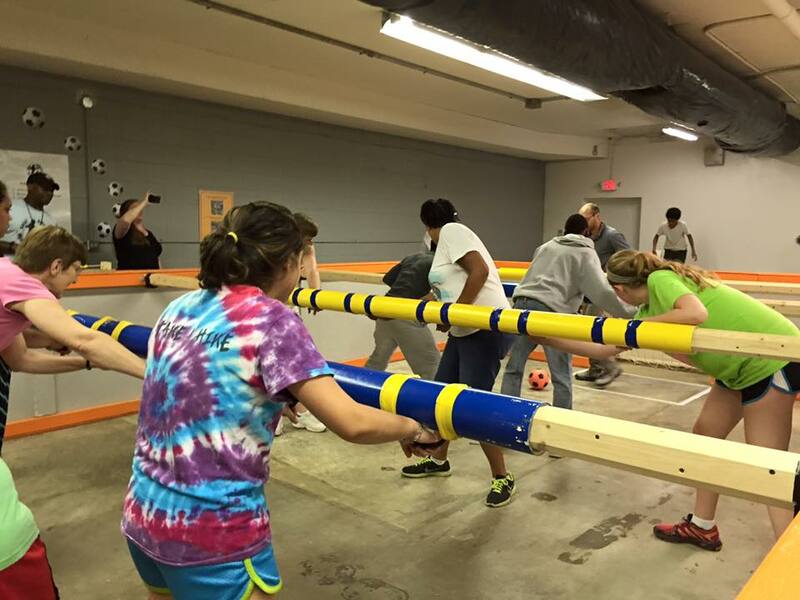 We had so much fun with foosball and fellowship this summer, that we’re going to keep it up all year long. The third Tuesday of each month will be Foosball night. Come for dinner, come for the foos, come for a whole lot of fun! See you there! UPDATE! We have one more Foosball and Fellowship night scheduled to kick off the fall! Come out and play Tuesday 9/22 from 6:30-8:30. Help us show the Elon Gap Semester students staying at Amen House how we roll…and kick, and score! Join us on Tuesday nights this summer for Foosball and Fellowship. 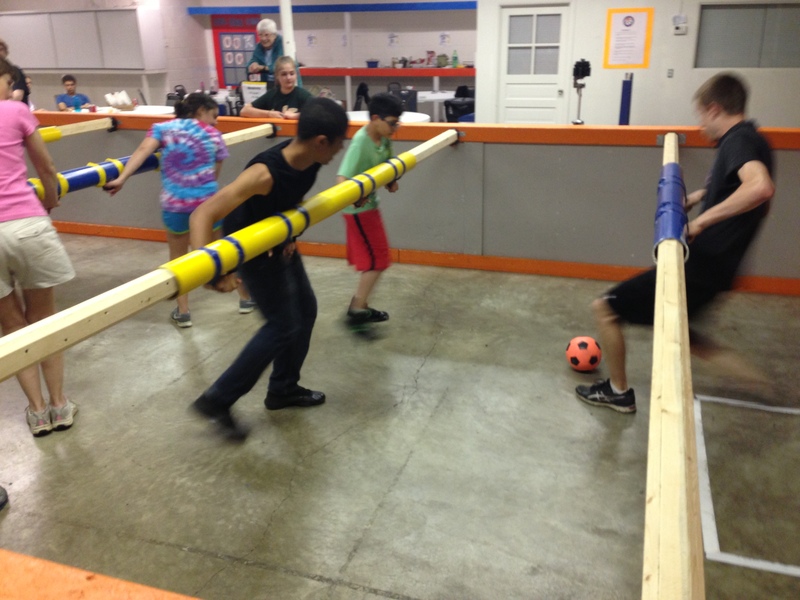 Oak Hill members, neighbors and friends will challenge the visiting mission teams staying at Amen House to a few epic, uh, we mean, friendly Human Foosball battles. Oh, and there will be pizza. So. Much. Pizza. Bring a side dish to share and don’t forget to wear shoes that cover your feet (no sandals/flip-flops). 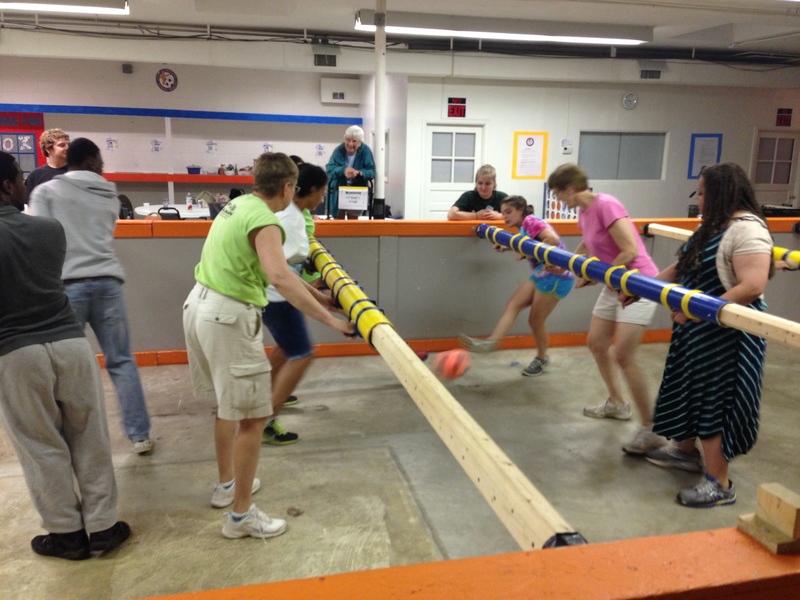 Each Tuesday this summer from 6:30-8:30 pm at Great American Human Foosball, just up the street at 3227 Morgan Ford. It’s free!